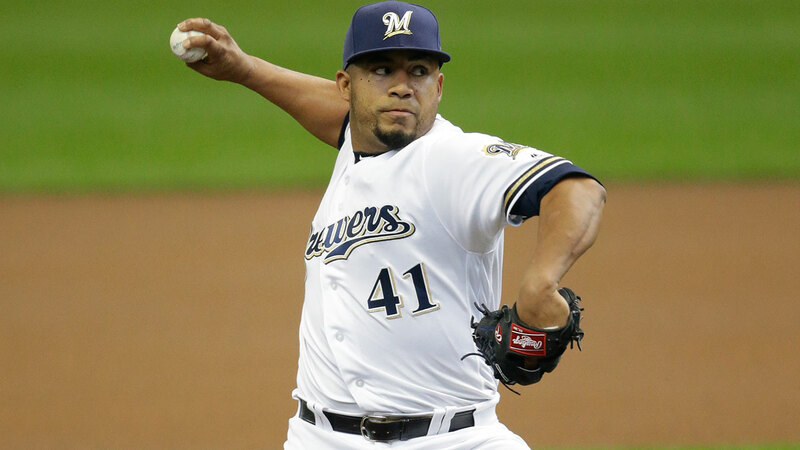 Junior Guerra has generated a lot of hype for a pitcher who only made one shortened start before missing almost two months due to injury. He pitched decently in that first start, striking out four while only allowing one hit and zero walks in 3.0 innings, but that’s just too small of a sample size to get excited about. He then became a speculative stash while on the DL, however anyone holding him for that long surely made a mistake by not using that spot to stream pitchers. Since he’s returned from the DL, he’s walked three batters in each of his three starts while only just making it to 6.0 IP once. That’s just not going to cut it in fantasy, and with his BABIP and LOB% showing extreme signs of negative regression, Guerra is a pitcher you can feel comfortable leaving on the waiver wire. Earlier in the year, Jimmy Nelson had a few excellent starts here and there and all I did was roll my eyes at them. As someone who picked him up a few years ago, I became all too familiar with Nelson’s penchant for dazzling you with great pitching performances before throwing clunkers the rest of the way. This time around, I think there’s something different about what Nelson has been doing. He currently has the highest K/9 rate of his career while sporting the lowest BB/9 of his career. His last two starts have been exceptional, as he’s earned double digit strikeouts with no walks against two of the hottest teams around, the Dodgers and the Diamondbacks. In those two starts, he’s also upped the use of his curveball (arguably his best pitch) to 20%, which could be the edge he’s needed. Will it stick? Time will tell. Until then, Jimmy Nelson is the Milwaukee pitcher you want to own. 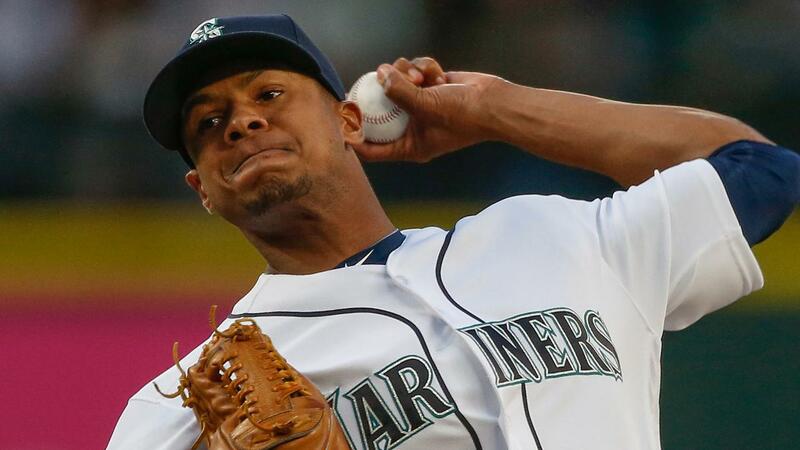 After throwing a complete game against the Rays with nine strikeouts, I’m sure many owners are eager to pick up Ariel Miranda. With the nine strikeouts being a career high for Miranda, I think that’s more of his ceiling than what you should expect going forward. He also has a bit of a walk problem with a 3.21 BB/9 this year, which only seems to disappear sporadically when playing against below average teams like the Rays. This is only his second year in the majors, but seeing as he’s 28 years old right now, he hardly qualifies as a young pitcher with upside. While he’s been great at limiting hard contact so far at 29.0%, the 37.1% mark he posted last year indicates to me his actual rate lies somewhere in the middle of those two numbers. There’s still a bit of unknown about him, but I don’t think he will end up emerging as a clear-cut ace in the future. To be clear, I don’t think Bauer has really turned a corner here and it’s unfortunate that his start was moved up to this Wednesday against the Rockies at Coors Field. However, there are plenty of leagues where Bauer should be owned in regardless for several reasons. His K/9 rate is through the roof at a career high 11.20, which will carry value in just about any league. He’s also holding a career low BB/9 at 3.07 while every metric in his regression profile indicates positive regression is due, so it’s very possible that we’re seeing his best year so far. Know that he will still blow up more often than you’d like, but Bauer is probably worth owning in your league. 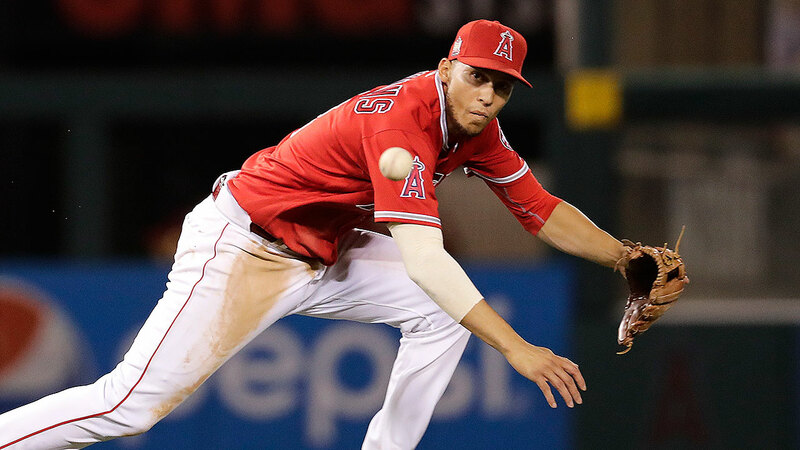 Known more for his defensive prowess, I consider Andrelton Simmons in fantasy only as one of the very last full-time shortstops to own. In his six years in the majors, he’s barely shown an offensive pulse with an average wRC+ of 86. Even when he hit 17 home runs in 2013, his best year, he barely cracked 90 wRC+. If a breakout was coming for Simmons, he’d surely have shown something by now. Peripherally, this year has mostly been the same story with Simmons, with the only difference being an increase in his hard hit rate to 31.2% which honestly isn’t all that exciting and is probably a fluke anyway. Although his regression profile doesn’t show any signs of overperforming, his career average in those categories shows that’s usually the case for him and it hasn’t resulted in anything eye-opening yet. It feels weird to recommend a minor-league prospect in this section, as it’s based almost purely on hype rather than solid statistics, but it makes sense in this case if you are looking for upside. Amed Rosario is rumored to be the next big-name prospect to be called up as he continues to rake in Triple-A while the Mets continue to struggle. Banking on a prospect is a huge gamble, but lately it’s been working out more often than not for fantasy owners, so I’d encourage you to use a spot on Rosario or Gleyber Torres, another hyped shortstop who plays for the other New York team, if you are looking for a long-term replacement at shortstop and have the luxury of an extra bench spot. For those seeking a short-term solution, I’d see if Didi Gregorius is still available or look into acquiring a struggling shortstop who was drafted, like Addison Russell or Aledmys Diaz. 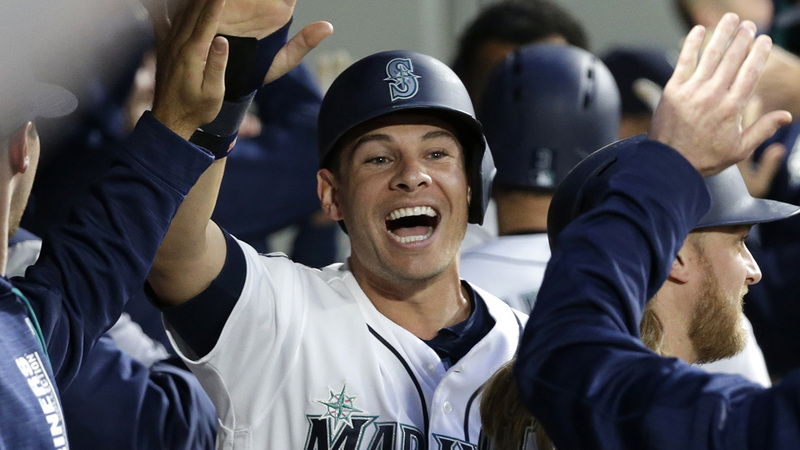 Can you find a player that fits the definition of “journeyman” more than Danny Valencia? At 32 years old, he’s playing for his sixth different team this year with the Mariners and last year was the first year he’s eclipsed 500 major league plate appearances since 2011. The results have been hit-or-miss, showing some spark at times but in general has been injured too often for any weight to be put in the stats he’s put up in recent years. Even if he stays healthy, there’s not much to be excited about as he’s projected to be just above a 100 wRC+ player for the year. Even though he’s eligible in three positions, his projection isn’t enough to move the needle in any one of them. Lucas Duda is another old fogey at age 31, but he’s one that’s been known to hit for a lot of power. Despite having an injury-plagued 2016, he was able to keep relatively healthy in the two years prior and posted about 30 home runs in each of those years. He seems to have regained his past form this year and is well on his way to getting close to that number again. Even though the HR/FB rate is higher than I’d expect, he should still hit above the league average 10% due to his history as a power hitter. He’s been overlooked due to last year’s disappointing numbers, but that soon won’t be the case going forward.